What's in it? 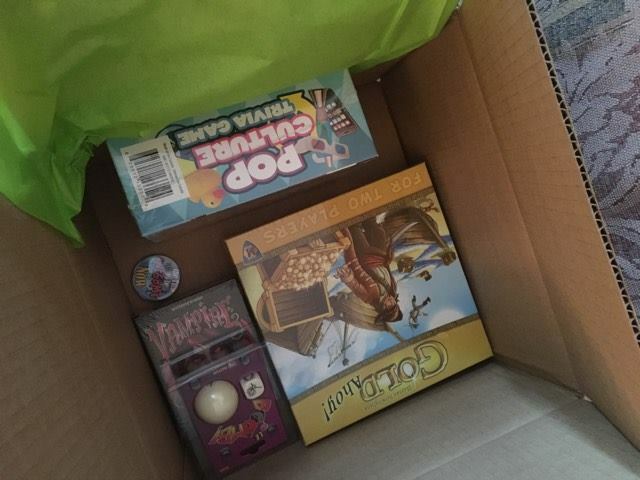 This subscription box usually contains 3 games and some goodies. This month, I received 4 games. 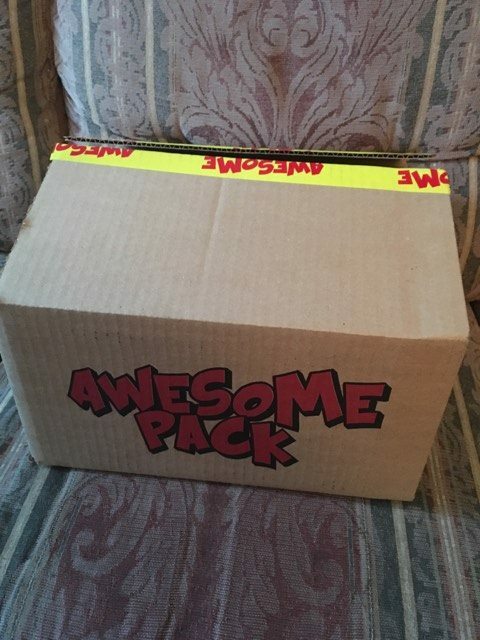 Awesome Pack is a monthly subscription box that sends you board games. There's two kind of box, the family one and the big kid one. I ordered the second. Each box contains three games, a small one, a medium one and a big one. The games is selected taking your profile into account. 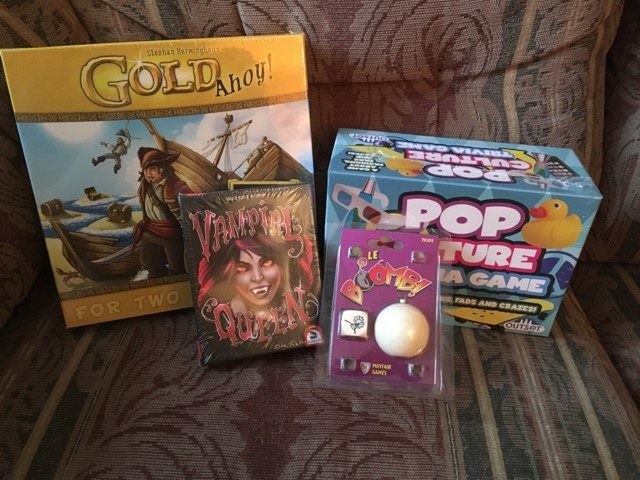 I was excited to receive my first Awesome Pack because I love board games. Their website says that they'll send the box between the two last weeks of the month, but mine was sent the first week of the next month. A small and simple game, but I don't think I will like it. I love elaborated ones, but I'll give it a try because usually I love dices games. 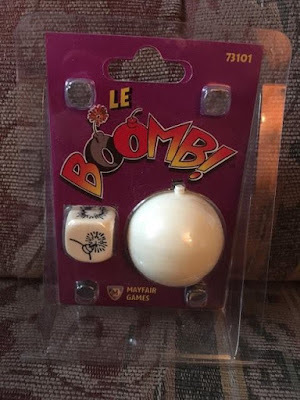 This bomb and die have a 4.4 out of 10 note on the BoardGameGeek website, so I don't think it will be the game of the century and this one have a playing time of 2 minutes so that's not enough for a night of fun. ''From Marlon Brando to Miley Cyrus and Walkman to Ipods. 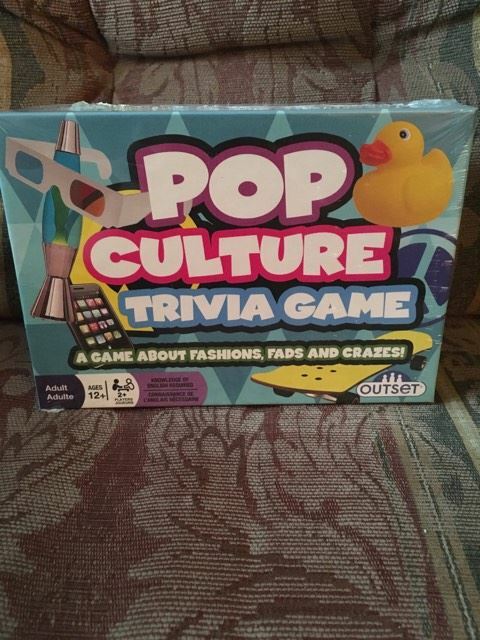 This game is littered with the people, products, and trends that have shaped our world." I can't wait to give it a try, even if it's not the kind of game I play with my friends. I believe I will have fun and that I'll learn a lot with this. 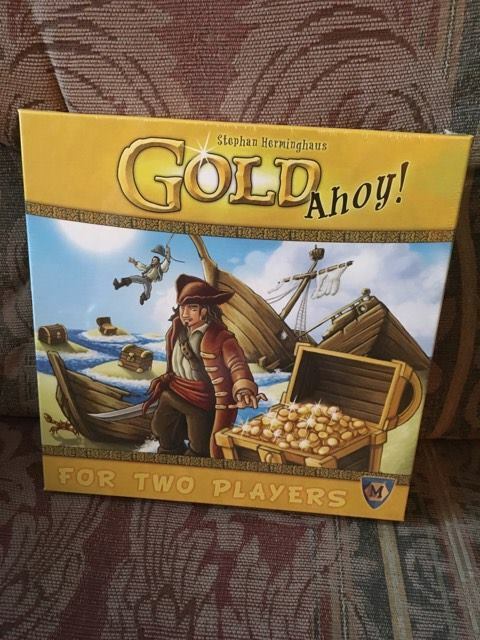 This game have a 6 out of 10 note on BoardGameGeek, that's not so bad. I can't wait to play this game with my boyfriend. We wanted to have a pirate-themed game and there it is! On the other hand, I'm scared that this game will not be strategic enough for me. We'll see. This game have a note of 5.7 out of 10 on the BoardGameGeek website. It's not that bad. 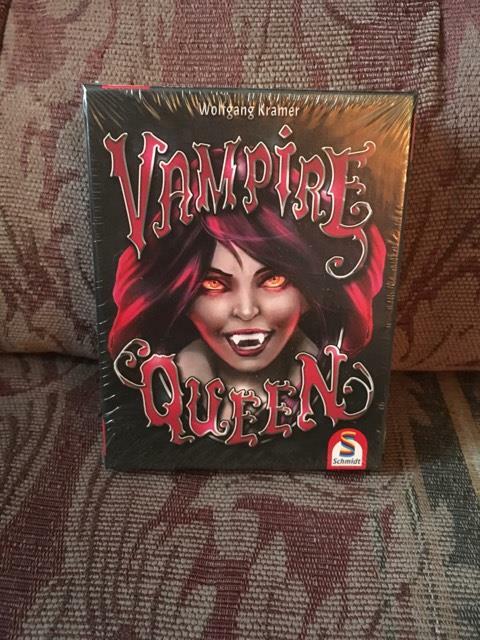 This game have a not of 6.4 out of 10 on BoardGameGeek, therefore, this is the game with the highest note of the box. According to this website, the best number of players is 5 to 8, that's not always easy to get that many people on the same night, but I will not hesitate to organize a gaming night with my friends just to play this game. 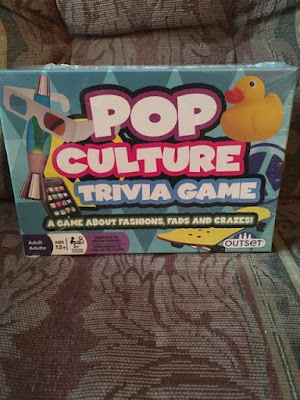 This is the game I'm the most interested in from this box. Overall, I liked this box. There's only one game that I don't like and it's Le Boomb. I can't wait to play Vampire Queen and Pop Culture Trivia Game. I will stay subscribed to the Awesome Pack box and I'm excited to see what next month will bring me.